Swai is a Vietnamese species of catfish. 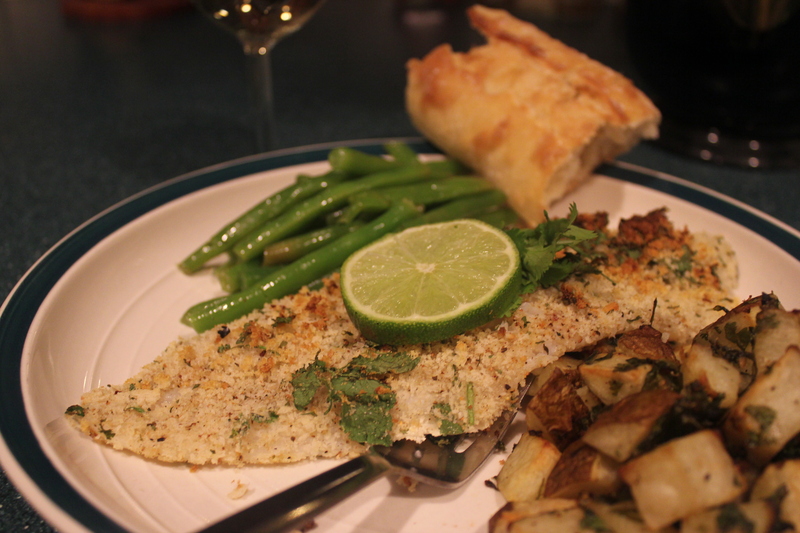 It is common in taste to catfish with a flaky texture and mildly sweet taste. It is not an expensive fish about 5 dollars per pound and I found that our local Giant© carries them not frozen. If you have never made fish before or never made Swai, this is an excellent recipe to start with. Very flavorful and easy. 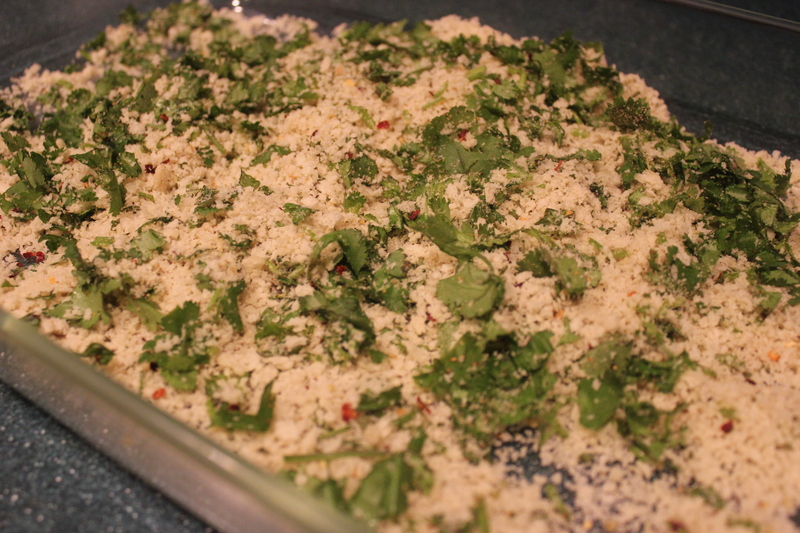 In a large dish, combine the panko, cilantro, salt, pepper and red pepper flakes. Coat the filets with lime juice (use two of the limes for it) and dredge them in the panko mixture before placing on a baking sheet. Broil for 8 – 10 minutes on LO. The filets with become firm and flake easily with a fork. REMEMBER this is a broiler and the fish can burn so watch them carefully. Sometimes you will need to move the fish around to make sure they brown evenly. Boil the beans in salted water until cooked through, in a separate bowl combine the vinegar and oil with the salt and pepper. Toss the beans into it and serve while warm. Adding slivered almonds would make a nice touch. In a large bowl combine all the ingredients making sure the potatoes are evenly coated. Spread the potatoes on a baking sheet and roast at 375 degrees for 25 minutes turning at 15 minutes and continuing the roasting. These little bites of heaven are just wonderful! I loved this recipe and the combination of all the different dishes complemented each other so well. The whole family loved it and we had no left over’s! You are very welcome and thank you for sharing. I like the changes you made and will certainly keep them in mind the next time I cook it. =) Come back often for more recipes and if you make them let me know! I am also on Pinterest, Started following your food account on Pinterest! Have a Great Day!